CMOs are currently caught between the need to demonstrate ROI and the pressure to evolve the marketing function. 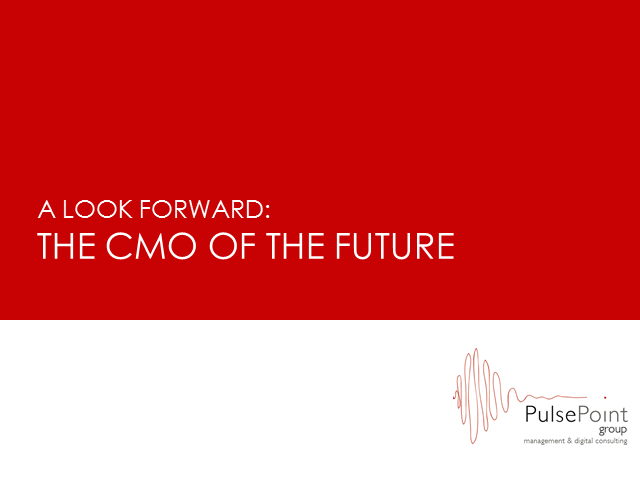 How will the next-generation CMO succeed? In an age where near instant gratification for marketing investment is being demanded, the CMO is under duress to radically evolve the enterprise into a digitally centric marketing and communications engine.The underlying tension many C-suite executives are receiving to develop socially engaged strategies that also build the value of the brand in the long term has put undue pressure on resources. The influencers participating in this roundtable will talk about their own unique experiences in handling this ongoing tension and offer tips and guidance to those in the middle of this fray or about to enter it. Mobile is everywhere, as is social. But social media is not the key way to win with the mobile workforce. Social engagement using mobile to drive marketing resonance, behavioral change in employees and new product and service and sales effectiveness offers an amazing new world of opportunity. The session will cover what this new world can and would look like based on work with clients and the economics based on a collaborative project on the Socially Engaged Enterprise with the Economist Intelligence Unit. Everyone wants to be in a socially engaged enterprise but understanding the right level of investment and sequence of activities is often unclear. From a collaborative research project with The Economist Intelligence Unit, PulsePoint Group has calculated the enormous range of very disparate economic performances achieved across six types of socially engaged enterprises. With the highest economic performers achieving a four times higher return than the lowest performers, there are sensible investments in time and money that you should consider to win. Your organization can adopt clear best practices to expand the reach and economic value of social engagement with your customers, partners and employees. This webinar will introduce PulsePoint Group’s ongoing research diagnostic, in collaboration with The Economist Intelligence Unit, to show you what to focus on and how to sequence the right actions to reap the four times higher economic return experienced by socially engaged high performers.